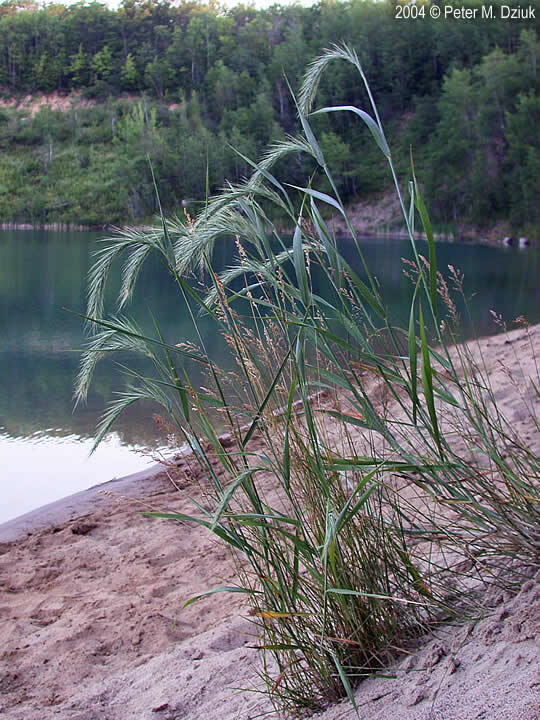 Elymus canadensis plants. 2004 © Peter M. Dziuk. Minnesota Wildflowers. minnesotawildflowers.info (Accessed 5/2018). 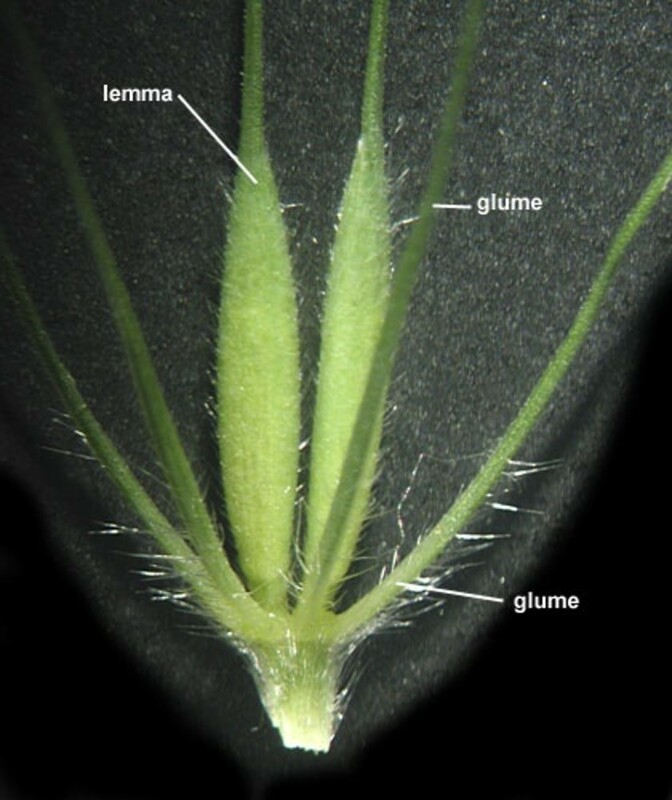 Elymus is a genus of perennial C3 tufted (bunch) grasses. Elymus canadensis (canada-wild-rye) stem, sheath and ligule. © 2013 k. chayka. Minnesota Wildflowers. minnesotawildflowers.info (Accessed 5/2018). 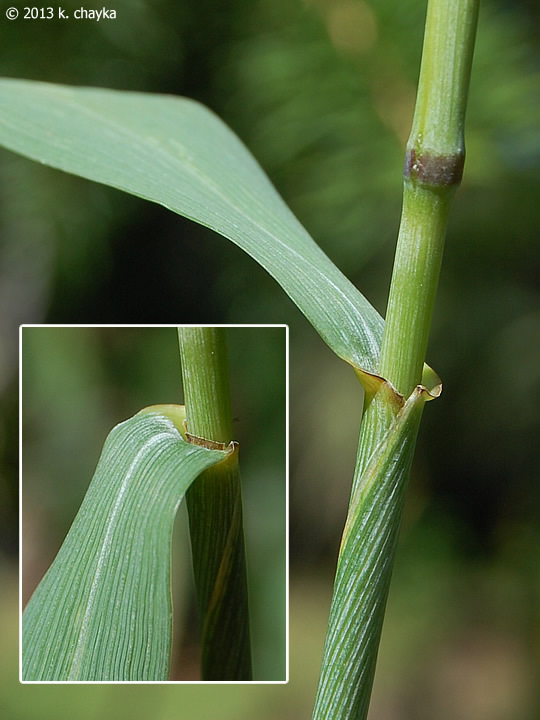 Leaves mostly flat, the membranous juncture at the top of the sheath (ligule) is short. 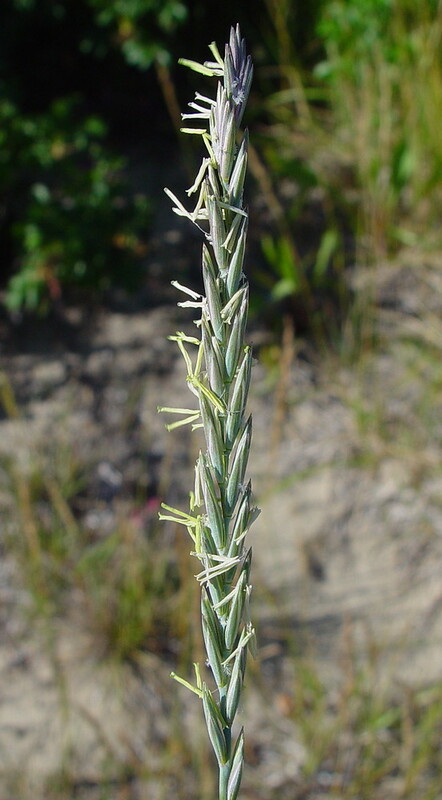 Elymus repens inflorescence in bloom. By Arthur Haines. Copyright © 2018. New England Wild Flower Society. gobotany.newenglandwild.org (Accessed 5/2018). Flower spikelets 2 at each node (except 1 for Elytrigia repens) of the flower spike; the inner bracts (scales) of each floret (lemma) with an awn, generally giving the flower spikes a bristly or bottle-brush appearance. Elymus villosus spikelet. By Anna Gardner. Copyright © 2018. Ada Hayden Herbarium – Iowa State U. New England Wild Flower Society. gobotany.newenglandwild.org (Accessed 5/2018). Origin: All but one of ours native.